�����Not only has Gold passed though the $1,500 mark, it has blasted its way up to the $1,560's. With the help of advancing metals, the just completed Central States Convention was probably the best it has ever been and Heritage Signature and Platinum Night Sales brought in over $25 million. As is usually the case in a blistering market, demand is well beyond the available supplies in the most active areas. All Silver and Gold bullion products are moving as fast as dealers can get them in the door. In addition, the Morgan and Peace Dollar market is as solid as ever. �����As demand increases in specific areas, such as U.S. Gold and Silver Dollars, the lack of sufficient supplies tends to create a spill over into other series. Some may be related while others may not make much sense. Recently, buyers have been looking at series that may have been stagnant for quite some time and prime for potential upward movement. It looks like Classic Proof Gold may be in the early stage of this market testing. We are seeing more dealers looking for specific coins but not yet willing to advertise their buy prices, perhaps to get a feel of what is available in the market. �����This week's HD Wholesale Market Dealer Price Guide shows a multitude of advances for Walking Liberty Halves in MS64 through MS66. We have monitored a handful of dealers trying to buy the common dates in quantities of a hundred at a time. The Market price for MS65's is now up to $130 and dealers still need more coins. 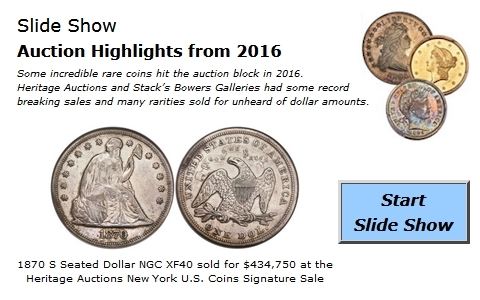 Carson City Dollars in the GSA/NGC holders are heating up as well. In the past, while these dollars were very active, the Prooflike and Deep Mirror Prooflike coins did not trade as actively. Now, dealers are starting to take a more active interest in these difficult to find coins and prices are beginning to move up ever so slightly.